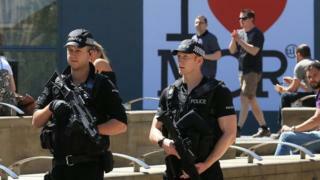 Police have made "significant arrests and finds" in their inquiry into the Manchester Arena bombing, according to the UK's top counter-terrorism officer. Assistant Commissioner Mark Rowley said they had "got hold of a large part" of the terror network they believe bomber Salman Abedi was part of. "Immense" progress has been made, he added, but more arrests were likely. Meanwhile, US singer Ariana Grande has said she will return to the "incredibly brave city" for a benefit concert. In a message posted on Twitter Miss Grande, who performed on Monday, said the victims of the attack would "be on my mind and in my heart every day". Amid increased security at UK events this weekend, Mr Rowley urged the public to "go out as planned and enjoy yourselves". He added that police had reviewed security at more than 1,300 events across the country, and people could be "100% confident" they were doing everything possible to protect them. But for the investigation team, he said, there were still "important" lines of inquiry to pursue, and the security level will not yet be reduced from "critical". A senior security source told BBC News the threat level was "critical" partly because of concern at so-called "copy-cat" attacks, as well as fears about the Manchester network. The Chief Constable of Greater Manchester Police, Ian Hopkins, said 12 locations were still being searched. These operations, as well as one at Manchester Arena, will continue over the weekend. He said thousands of items had been gathered by officers, though he would not say whether they could have been used to make explosive devices. Mr Hopkins also warned that hate crime had risen in Manchester since the attack, going from 28 reports on Monday to 56 on Wednesday. He said these numbers cannot be directly linked to the attack. 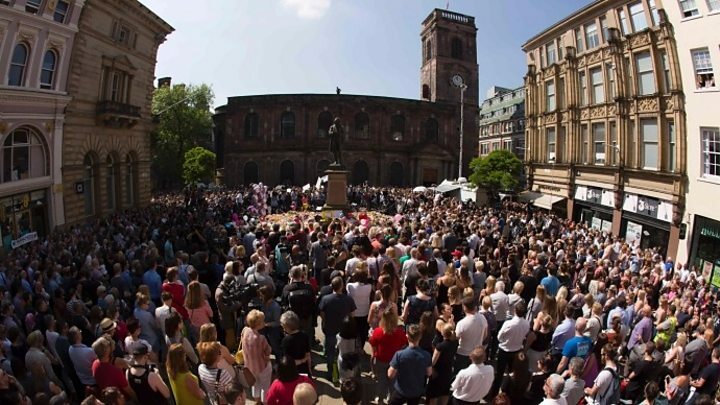 But he added: "Manchester has come together this week... but it is important we continue to stand together, particularly against some of the hate-filled views that we have seen from a very small minority of the community that have no place here in Greater Manchester. "I have sent a personal message to the faith leaders and places of worship across Greater Manchester today, thanked them for their support, and shown that we will not tolerate hate crime here in Manchester." Nine men - aged between 18 and 44 - are in custody on suspicion of terror offences, in connection with Monday's attack. 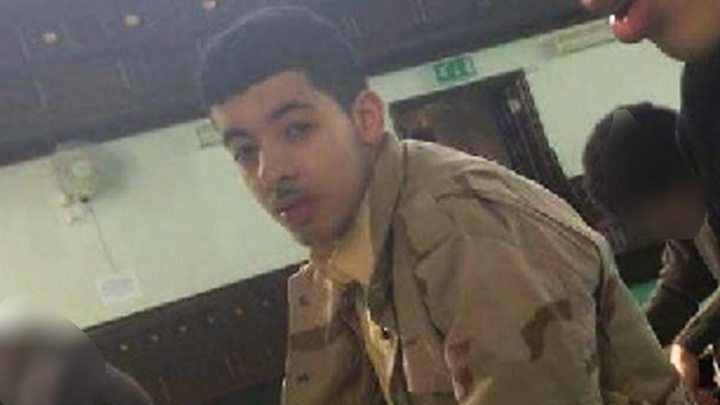 Abedi blew himself up, killing 22 men, women and children, as people were leaving an Ariana Grande concert. A total of 11 people have been arrested in the UK, including Abedi's 24-year-old brother Ismail, but two were later released. The most recent arrest, of a man aged 44, was made on Friday in the Rusholme area of Manchester. Witnesses said armed police had surrounded a bus on Oxford Road before they arrested a man on board. 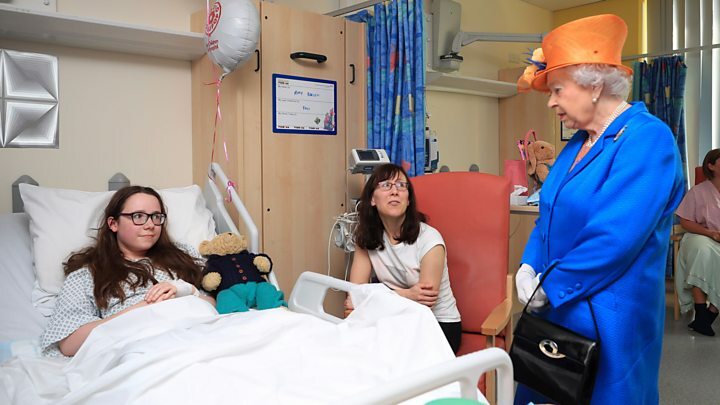 A total of 66 people remain in hospital, with 23 in critical care. The most recent arrest happened at around 02:00 BST on Friday when armed officers raided a terraced house in Dorset Avenue, Moss Side, Manchester. Sources have told the BBC that a barber shop in the same area, linked to a house that was searched earlier in the week, was also raided overnight. Three men aged 18-24 were arrested during the raid in the Fallowfield area of the city on Wednesday. The BBC understands at least one of them worked at the barber shop. A school friend of Hashem, who did not want to be named, told the BBC that he left school when he was 14 to go to fight in Libya, returning "much more Islamic and wearing traditional salafi clothing". Abedi, 22, was known to the security services, but his risk to the public remained "subject to review". He is also believed to have fought in Libya when he was 16, according to BBC Newsnight. The police have not commented. Fawzi Haffar, a trustee of the Didsbury Mosque - which he attended - said one of the Imams reported Abedi to the security services five years ago, but did not tell anyone at the mosque that he had done it. "It has got to be a worry because obviously we as trustees should, I suppose, know what is going on," he said. But Mr Haffar added that if he was ever aware of a radicalised mosque-goer, he would be "the first person to report them to the counter-terrorist police". The BBC understands Abedi attended football coaching sessions in 2014 with the Manchester United Foundation - the charitable arm of Manchester United FC - at a project for young people in the city. Security minister Ben Wallace told the BBC there were between 400 and 500 active investigations into people plotting or engaged with plots to attack the UK, covering 3,000 individuals. There were also between 12,000 and 18,000 people in the same category as Abedi - those who had come to the attention of the security services. "The scale of the challenge we face is the key," said Mr Wallace. "When is someone boasting or when is someone acting suspiciously? The police and the security services always have to make that judgement call and that is a lot of people. "We used to say that a terrorist only has to be lucky once. We have to be lucky all the time." General election campaigning, which was suspended after the Manchester attack, resumed on Friday, with Labour drawing links between wars abroad and terrorism "at home". Leader Jeremy Corbyn said that under a Labour government, UK foreign policy would change to one that "reduces rather than increases the threat" to the country. Speaking at the G7 summit in Sicily, Prime Minister Theresa May said Abedi's links with Libya "undoubtedly shine a spotlight on this largely ungoverned space on the edge of Europe". Mrs May will chair a meeting of the government's Cobra emergency committee on Saturday to discuss the investigation with senior ministers, officials and security officers.